While steam baths use moist heat, saunas offer dry heat sessions. Steam rooms are kept at around 100 to 114 while saunas are much hotter – up to 100 °C (212 °F, the boiling point of water). Both these types of hot baths stimulate blood flow and promote healthy metabolism but some people find it difficult to breathe in the dry heat of a sauna. So people with respiratory problems like sinus congestion and asthma may prefer the moist heat of steam baths. Moist heat also benefits people with joint pain or other body pains. Saunas offer both wet and dry sections. Kabul Star Hotel was founded on 21-April-2007 (01-Sawar- 1386). Construction of the Building has spanned more than four years in which most of the material had been imported from abroad, and instinctive care has been taken in order to meet the international hotels standard. 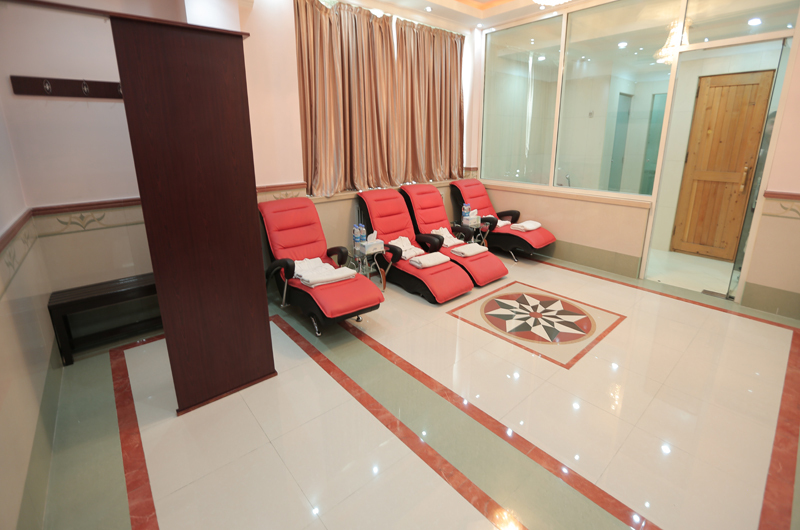 Kabul Star - Hotel & Reastuarent . Developed By: EICT . All Rights Reserved.